Spaghetti and macaroni line is designed to work serially using a single press arrangement. The previous technology which is still active in most parts of the country is that spaghetti and macaroni work in parallel arrangement which means one can produce both at the same time. This leads to an inflated initial investment which levies high overhead cost to the product. But Ahfa foresaw the market is in the maturity phase requiring special serving in quality as well as cost to substitute imports using its special semolina product from its own mill. 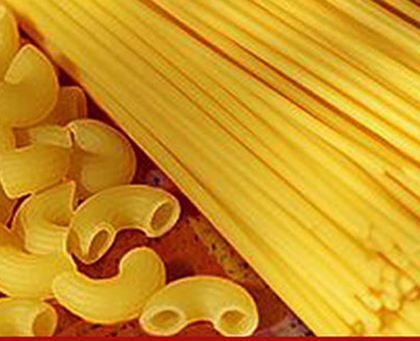 We make spaghetti and macaroni that is pre-much the same as imported pasta products with a price competitive to the local market. The process begins with flour receiving silo, flour and water doser, pre-mixer, mixer, extruder, then at this point spaghetti and macaroni split in two their respective dies, cutter, transporter, pre-drier, trolley transporter, and then finally to the final dryer. Here the pasta stays for about 6 to 7 hours depending on the drying diagram and laboratory feedback. The end product leaves the drier to stripping and packing if it complies with company standards. For packaging we do have one horizontal pillow pack for spaghetti and a vertical one for short pasta.